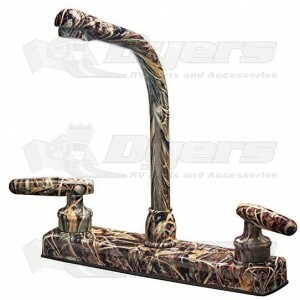 Have fun by adding a new twist to your RV with this Weeds & Reeds Camouflage Lavatory Faucet. Comes with Lever Handles, Brass Compression Cartridges And Lead Free Waterways. Deck Mount Size (IN): 8"